Are you watching? Are you watching? Are you watching Fabio? So, the 30 man squad has been named. Looking at the other squads I'm happy to say ours is one of the strongest and fills me with confidence ahead of the World Cup. But just in case, by chance, Fabio is trawling the 'interweb' looking for advice, here's what I would do! Goalkeepers: Joe Hart, David James and Robert Green. Defenders: Jamie Carragher, Glenn Johnson, John Terry, Matthew Upson, Rio Ferdinand, Michael Dawson, Ledley King, Leighton Baines, Stephen Warnock, Ashley Cole. Midfielders: Shaun Wright-Phillips, Aaron Lennon, Theo Walcott, Gareth Barry, Frank Lampard, Steven Gerrard, Michael Carrick, Tom Huddlestone, Scott Parker, Joe Cole, Adam Johnson, James Milner. Strikers: Peter Crouch, Wayne Rooney, Jermiane Defoe, Darren Bent and Emile Heskey. Taking into consideration that our defence, certainly our starting back four of Johnson, Terry, Ferdinand and Cole have all suffered their fair share of injury problems this season, it's looking more and more likely that only the 4 strikers will be selected, in order to give enough cover to the defence and to the midfield. So I'm opting for; 3 goalkeepers, 8 defenders, 8 midfielders and 4 strikers to take out to South Africa. We all know John Terry, Rio Ferdinand and Ashley Cole are world class defenders, and with Rio being captain I expect all 3 to start. Glenn Johnson filled the role of right back during the qualifiers, and if he proves his fitness I expect him to start there during the World Cup. So who to have as cover? Well I think Jamie Carragher was a very shrewd move to bring into the inital squad, he can play both full back roles and his main role is obviously at centre half. 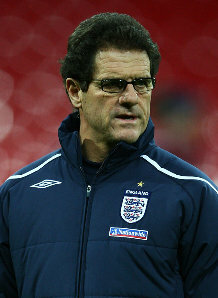 He gives everything to the cause and has as much experience as Gary Neville, so would prove a better selection. He would be my first cover defender. 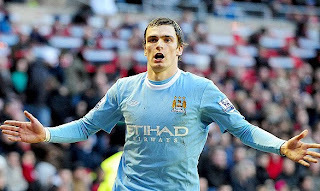 Secondly, the left back cover role is to be fought out between Stephen Warnock and Leighton Baines. Both have had good seasons, but Leighton Baines simply offers more in the final third of the pitch. He is a threat on set pieces and his delivery is excellent. Warnock has the physical advantage, but Baines is no push over at full back having retained his spot at Everton this year. On that basis, Leighton Baines will make my final 23, although I do not expect him to play unless Cole suffers an injury. So who will be the covering centre backs? We have Rio and JT, but who from Ledley King, Michael Dawson and Mathew Upson can we trust to take the mantle if either is injured? Well, arguably if fit Ledley King ought to be challenging for a starting position out right, but the lad can't complete a weeks worth of training, as explained by his manager Harry Redknapp earlier in the season. But interestingly enough, he has started more games this season than Rio Ferdinand and his form in the latter stages of the season, (Man City away in particular) really shows his worth to any team. Michael Dawson, King's Tottenham team mate, has had an excellent season, following injuries in the spurs side, Dawson really grasped his opportunity and barring a few mistakes, (lunging in on Jermaine Beckford in the F.A Cup to ensure a replay being one of them) he has been on excellent form and deserves his spot in the team. Matthew Upson has been around a long time now, he knows the game and is a solid premier league centre back. He has had a disappointing season, but still holds the captaincy at relegation survivors West Ham. He is in the John Terry mould, but for me just doesn't quite cut the mustard at International level, which is why I opt for Dawson and King. So my defence looks like this: Carragher, Johnson, Rio, JT, Dawson, King, Cole and Baines. Moving onto the midfield, and arguably the trickiest area of the team. We need our defensive cover, our attacking pincers and our ball players. We need the right blend of starting players and impact players, and an ability to mix up our attacks. One thing for certain, Frank Lampard and Steven Gerrard both go to the World Cup. Both are outstanding internationals, top world class players who can make a last ditch tackle, score a last minute effort and drive a team forward. They are as valuable to us, as Xavi and Iniesta are to Spain. Looking on the right side of midfield, we have Aaron Lennon, Shaun Wright-Phillips and Theo Walcott. We also have Adam Johnson, a surprise call-up after spending the first half of the season at Middlesborough in the Championship. Who has been playing as a left footed right side midfielder. Aaron Lennon missed a large chunk of the latter stages of the season, however still managed 9 assists giving him the 3rd highest behind Frank Lampard and Cesc Fabregas in the Premiership, which is a credit to his early season form. For me he starts at right midfield. His pace, and ability to stretch defences with a new found final delivery will be invaluable to us and more importantly to our strikers. I find it difficult looking at the remaining players to find a back up winger who can change the game. Both Walcott and Wright-phillips are too similar players to Lennon, which is why maybe surprisingly I opt for Adam Johnson. His ability to jink past defenders, like an old fashioned winger, accompanied by being an unknown quantity to our opponents gives him the edge. On the left side of midfield, despite his lack of football over the past year I select Joe Cole. He is another player who according to his team mates in training is as good as Lionel Messi or Cristiano Ronaldo. He has proved in the past (wonder goal against Sweden) that he can pull something out of the hat when we look dead in the water, and has always been a big game player. Take his goal against Man Utd this season for example. To accompany Joe on the left I'm selecting James Milner, under the title of utility man. He can play both full back roles, across all of the midfield and even supporting the strikers. He would be predominently an impact substitute who can offer a goal, bags of ability, hard work and enterprise from the midfield. So who is to accompany Gerrard and Lampard in the middle of the park? I'm a massive fan of Scott Parker and his die hard approach to playing football. He will give you nothing short of everything and is in my eyes a player in the mould of Terry Butcher. Not like for like in footballing terms but in attitude. He is just the sort of player everyone likes to have around. On the other hand, Tom Huddlestone shows no sign of passion or determination like Scotty P does, but his ability to pass the ball is something like you would see a quarter back do in the NFL. He can dictate the game, and he also adds a physical presence in the middle of the park. Gareth Barry, naturally left footed, is struggling with an injury, but has played the majority of qualifiers. He adds a natural balance to the midfield, and he can spray the ball. He loves to break down the opposition, but lacks the pace, to catch a man and gives away too many fouls because of it. He was the star man at Villa and is captain material, a leader with a steady head, but if I'm looking for an attacking option, Huddlestone is the better man, and defensively Scott Parker is better. Not to forget Michael Carrick, he has struggled retaining his place in the United side this season, but his qualities are there for everyone to see. He can pass the ball well, he can score goals, it seems the better players he plays with the better he becomes. He's also defensively astute, but like Barry lacks in pace, but is proven quality. I select Gareth Barry and Tom Huddlestone. Parker is too one dimensional for me, he is defensive with too little to offer going the other way, at an international level. Huddlestone can offer you both, and being around the top players I think will help him. Barry offers you both again, and is experienced. Im afraid Carrick is hard done too here, but he misses out after a disappointing season. My midfield: Aaron Lennon, Adam Johnson, Frank Lampard, Steven Gerrard, Tom Huddlestone, Gareth Barry, James Milner and Joe Cole. I do not need to explain why Wayne Rooney is going, but he is my number one selection and will start every game. I'll also select Jermaine Defoe and Peter Crouch. Defoe has had an excellent season, and his goal scoring for England during the qualifiers along with his style of play is something we need in the squad. He has had an impressive season this year and deserves his spot on the plane. Crouch has a phenomenal record for England, and I don't care if you look at the opposition he has been scoring against, you can only beat what is in front of you. 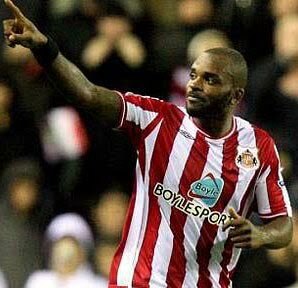 He is difficult to mark and his natural partnership with Defoe is also thrown into the mix. I expect to see him getting plenty of minutes on the pitch in South Africa. 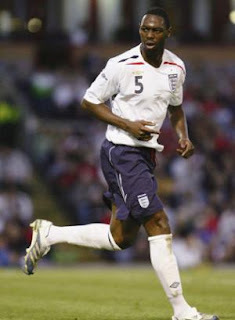 So the last spot goes down to Heskey or Bent. 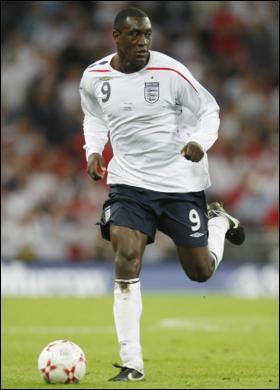 Heskey serves a purpose. He is big and strong, Rooney has been playing off him. He holds the ball up well enough and he plays better for England, I can only assume because the good players make him look better. His goal scoring record is abysmal. It took him almost half a year to register a shot on target. He has suffered his fair share of injuries, but none the less was very very effective during the qualifying campaign. He has a shed load of international experience. Darren Bent has had an excellent season. He has notched 25 goals this terms in a side finishing 13th. He has outscored Torres, Tevez, Anelka only to be beaten by Drogba and Rooney. No shame there! He has proved a willing worker for the team, playing out of position on occasions this season, and he proved he can play with this back to goal. He has very little international experience, he played against Brazil this term but you would not have known it. He is a confidence player, but his confidence is sky high. He is a very different player to Emile but Emile has been used by Capello over and over because of the sort of player he is. I'm going to select Darren Bent. I feel confident that Peter Crouch can play the Heskey role, but I also feel that this season Wayne Rooney has gone on to prove that he no longer spits out his dummy and gets himself sent off when playing with his back to goal and on his own. Which for me free's up the role Rooney was once playing, and allows him to be the point of attack. Crouch can fill the 'big man' role and with Bent and Defoe, you have 'that something different'. Bent has pace and is ultimately a poacher, and natural finisher whilst Jermaine has great feet. David James, Joe Hart and Robert Green. Jamie Carragher, Glenn Johnson, Rio Ferdinand, John Terry, Ledley King, Michael Dawson, Leighton Baines, Ashley Cole. Aaron Lennon, Adam Johnson, Frank Lampard, Steven Gerrard, Tom Huddlestone, Gareth Barry, James Milner, Joe Cole. Wayne Rooney, Peter Crouch, Jermaine Defoe, Darren Bent. Briefly on the opposition; Italy look old and France look weaker than expected certainly a shadow of their former selves. Brazil have some very high calibre absentee's whilst Germany no longer look like the side that took them so close last time round and are also now missing key man Michael Ballack. Spain however look as strong as ever. The team where Cesc Fabregas can only make the bench and where you can take your pick from 2 of the best strikers in the world in Fernando Torres and David Villa. Of course you don't win anything on paper, and you certainly don't win a world cup through anything other than organisation, hard work and above all else, having a bit of bloody good luck! I'm a 2nd year journalism student at the Univeristy of Central Lancashire (UCLan). I am looking at going into PR after finishing my degree. I love to talk about football, but there is plenty more to me than just sport! I live in a village called Bulkington, and my friends call me 'Horse'.